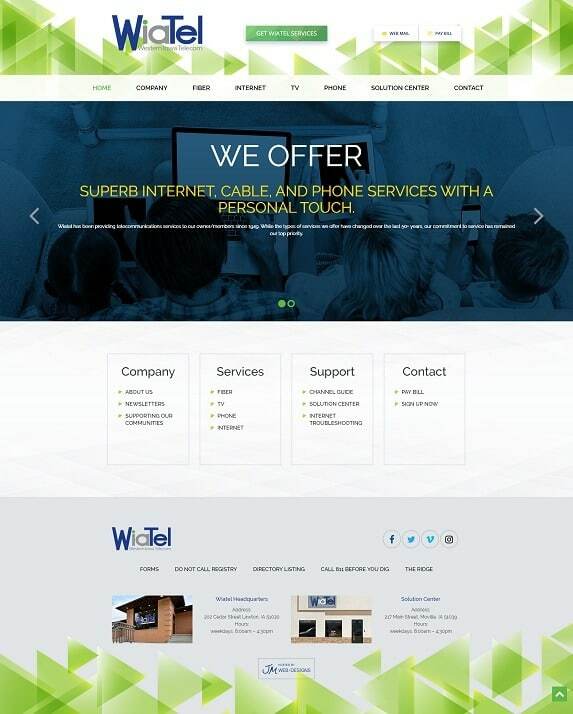 Wiatel is a Western Iowa Telecom company which needed a new website to attract new customers and educate its community and customers about its services and Products. Offering fiber, Internet, TV and phone solutions, this website is fairly heavy on information. This website is a custom design, wrapped around a WordPress Content Management System (CMS). Utilizing design elements and page builder WordPress plugins, our web design team was able to provide a lot of information in a readable and organized format.